Living at the same address as his brother-in-law and business partner, M. J. Walsh. 1884 was the appearance of Francois-Antoine in the Lovell directory. Noted as a boarder in Lovell's Directory. 301 Notre Dame was originally 1867 Notre Dame. Likely same home with new civic number. The 1871 Ontario Census notes him living with his family in Kingston, Ontario. 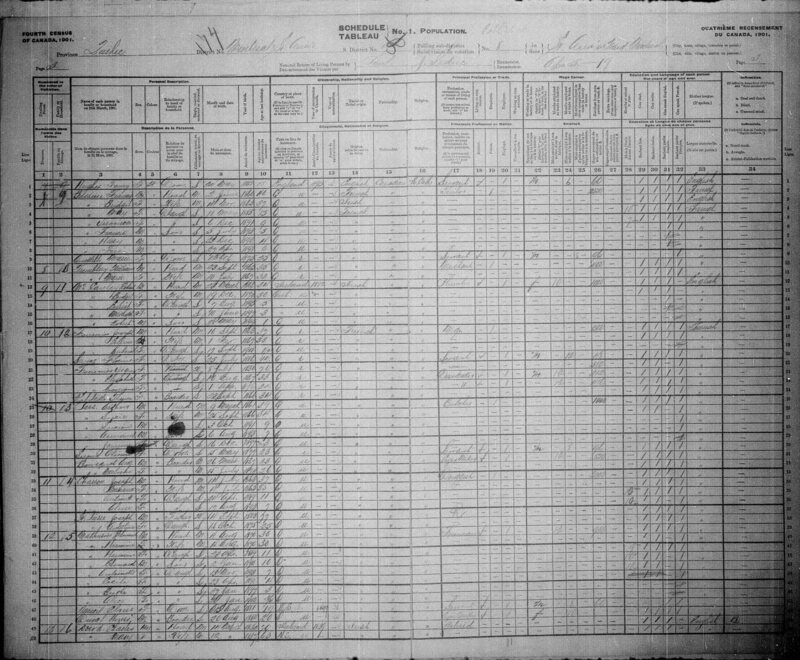 The 1881 Census has "Antoine" living with his family in Montreal. He is noted as working as a clerk (commis). The Census has the family name as "Beufsier". Francois was a merchant tailor with his cousin and partner, Michael Walsh. The 1901 Census has Francois and family living at 1946 Notre Dame in Montreal. Michael Walsh lived at 1928 Notre Dame. The present day location would have been at the corner of Dupre and Notre Dame West, at the base of University. Based on the 1905 Bell Canada directory, Francois lived at 114 St-Famille and his phone number was "East 2104". Very few had phones at the time. Walsh & Bussiere was noted as being located at 1867 Notre-Dame and the phone number was "Main 2593". Michael Walsh's number was "Main 3548". 301 Notre Dame West may have been located at the northeast corner of Notre Dame and St-Pierre in what is now Old Montreal based on current street addresses. Francois lived at 90 Arlington Avenue, Westmount, Quebec in 1941. He was a 4th Degree Knights of Columbus. [S24] Lovell's Directory, 1895, p. 295. [S24] Lovell's Directory, 1889, p. 347. [S24] Lovell's Directory, 1891, p. 422. [S24] Lovell's Directory, 1892, p. 436. [S24] Lovell's Directory, 1894, p.503. [S24] Lovell's Directory, 1905, p.783. [S24] Lovell's Directory, 1908, p.798. [S24] Lovell's Directory, 1929, p. 780. [S24] Lovell's Directory, 1934, p. 848.